Updated 9:49AM, Thursday November 15th, 2012	by Sam Hailes, Christian.co.uk Be the first to comment! 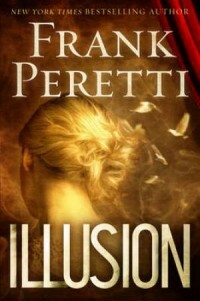 It’s said that Frank Peretti invented Christian fiction. The man who has sold over 15 million books denies such a claim, but is well aware his unique take on spiritual warfare in This Present Darkness was a game-changer. Frank explains that before he released This Present Darkness in 1986, few were interested in Christian fiction. 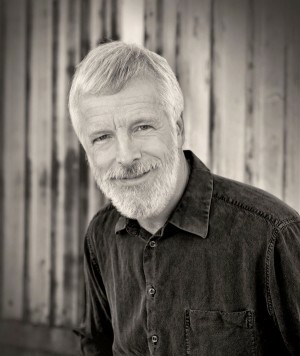 Before being a full time writer, Frank was a pastor, a musician, a carpenter a printer and even a ski factory worker. “Wanting to be a writer and working in a ski factory was depressing. It was a furnace and the Lord putting me through a refining process,” Frank says looking back. 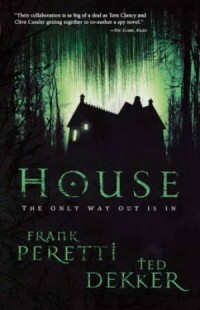 House gave Frank "the creeps"
Frank’s edgiest novel is without doubt 2006's House. Co-written with Ted Dekker, the novel sees two couples fight for survival in a haunted house. “We didn’t really see eye to eye on the content of that book,” Frank reveals. I’d rather go for a deeper topic, and for me more meaningful rather than all the excessive violence and darkness. It gave me the creeps! “Ted prevailed and we went with his ideas and what he wanted to do and fair enough we reached an agreement. But I would largely give credit to Ted for the story and the content. By the time the R-Rated US film was released, Frank says he had “totally separated” himself from both the book and movie. It’s not the kind of reaction I was expecting, but Frank isn’t afraid to talk about his failings and disappointments. Asking why there was such a long gap between him publishing The Visitation and Monster, I receive another honest reply from the 62 year old. “I spent six years trying to make films, doing screenplays, being trained, taking classes in directing and acting. It didn’t come to anything, I guess I learned a little bit. I came to the end of that and said ‘you know Frank, you should probably just get back to writing, because nothings going to come of this’. The news that Frank will be focusing on getting back to writing and aiming to get a new book out every two years is sure to delight fans. Talking more about Illusion, Frank is clearly excited about publishing his 20th novel. Added in to this is what Frank calls a "very different" love story. “Most of your romance stories normally include two people who have never met, they are usually younger. They meet and they go through pitfalls and misunderstandings and so forth and by the end of the story they are together and kissing and in love and the music plays. “This story is very different because it involves two people who have already been very much in love and married for 40 years who are then separated and the rest of the book deals with the quest to find each other again. Frank’s books are often praised for not only their ability to entertain, but to communicate spiritual truths. What message did the author want to get across in his new book? “On one level it’s a story about love, commitment and marriage. I drew on my own marriage to Barbara for 40 years and how our love has endured and how meaningful that’s been and what a wonderful gift from God a good marriage can be. “If I can once again inspire and excite people to appreciate love and marriage the way God invented it, that would be enough of an accomplishment right there. But also on a deeper level there’s love that we have for the Lord Jesus, how we are the bride of Christ and there is that time of estrangement when you’re separated from God and feel the loneliness. You know there is a home for you somewhere and there’s a God who loves you and you’re trying to find him. It’s the gospel. Frank’s most successful and popular books remain This Present Darkness and Piercing The Darkness. Does he get asked to write another in the series? “I hear about it all the time,” he sighs. I finish by asking if Frank would like to see his books read by a secular audience as well as a Christian one. “It’s a good question. Illusion is a book that could be enjoyed just as much by a secular audience. But another question arises: How do you appeal to the secular audience without compromising the message of the gospel? I’m thinking about that. I’ve got to find creative, inventive and clever ways to present the gospel. “We hear this phrase going around a lot ‘we need to impact the culture’. So we do stuff to impact the culture. But I’m thinking about the heart of the matter. How can you truly impact the culture without changing the heart? Because it’s out of the heart that we have our culture. You cannot change the human heart apart from the gospel.